When I arrived at the Energy Breakthrough back in 2000, the talk was all about Wonthaggi vs Kurnai for the win. But come Sunday, it was Bendigo Senior and De La Salle racing down to the wire… and it was only decided in the last 20 minutes. They both came outta no where. Will your team be the one that ‘breaks through’ (sorry, bad pun) from the pack? Maybe, but let’s look at the likely candidates first. So, do you think I’m close, or way off the mark? 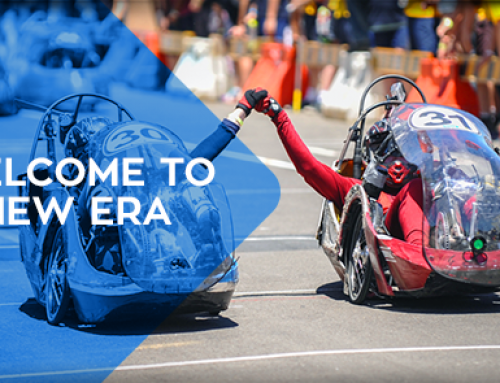 I’m anticipating a big three way tussle for line honours at this week’s 24th RACV Energy Breakthrough: St Margaret’s School & Berwick Grammar, Higview Christian College, Bendigo Senior SC. All three have now done it before. Fun Fact: The past three HPV Secondary trial winners have had clean coreflute canopies at the finish line. (EDEC’s Zavanz, BSSC’s DIY and SMS/BGS’s Zeus). Good to know you don’t need the space age composite stuff to win AND that clean riding is fast riding. Prediction: Line Honours Contender. HPV Open Contender. All-Female Contender. They’ve built their first carbon fibre chassis and are expecting it will be quick. They reclaimed the ‘best local’ crown back last year and were the best-of-the-rest after SMS/BGS’s. A new year, a new trike, new students from the Kingswood crew from Box Hill. Last year they won Design & Construction, the Display & Presentation AND tied for the HPV Open class win. Wow. 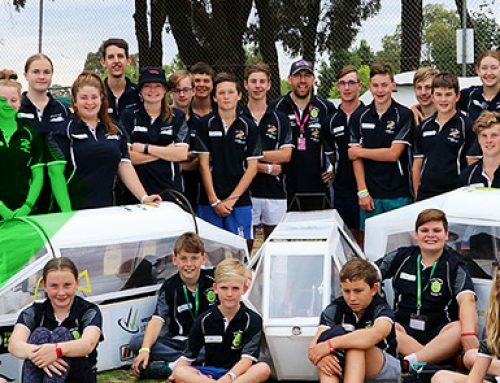 The Bendigo boys have taken a simpler and traditional approach with ‘Grand Theft Mango’ after a very difficult and challenging time with their front-wheel-drive-front-wheel-steer last year. They have some cool ‘ground effect’ ideas too. They went very well in Murray Bridge to take the Class win there. Their HPV C team might just be the one to beat too. 2013 Result: 8th overall in trial. Now led by two highly capable ex-students in Gerard De La Rue and Jono Keene, this squad has got it’s mojo flowing. They have three Year 9s in their Open team, so can they hang in there overnight? They were super consistent (the most consistent?) over the Victorian HPV Series this year too. Away from the HPV Open teams, there’s been an interesting exodus away from the All Female class that has swelled the ranks of the B1, B2 and C Classes. (These classes are for mixed teams for students up to Year 8, Up to Year 10 and up to Year 12 respectively). These categories are going to be supremely tight – which will be fantastic for spectators and the teams alike. The Display & Presentation and Design & Construction elements will be more crucial than ever. 2013 Result: B2 Trial Winner. Fourth Overall. This crew were flying – quite literally – last year as they clocked the fastest lap EVER around the 1.34km circuit. 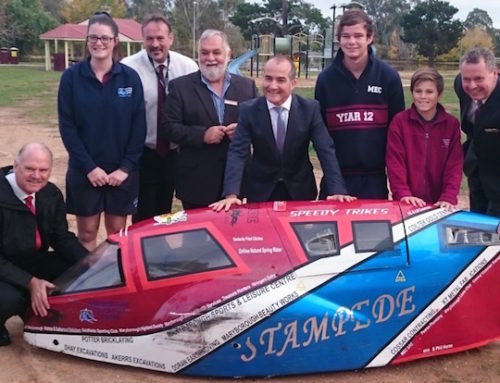 They were also prone to the odd crash too, but were on three wheels enough to stick fourth place on the road by 1:30pm on Sunday and they were 11 laps clear of Creek Street Christian College. Creek Street Christian College, Catholic College Bendigo, Drouin SC, Girton Grammar, Highview College, Woodleigh School, Maryborough Education Centre. 2013 Result: HPV C Trial Winner. They held Mt Eliza at bay throughout last year’s trial and will be aiming to repeat the performance. With the super-long-serving Team Manager Doug Marr retiring at the end of this year, you can expect a heck of a lot of spirit, too! Just four laps off Maryborough Ed Centre at the flag last year, we’re expecting them to take it up to the locals again. With two entries in HPV C they have options, too. They were third on the road last year with their HPV Open team, but have opted away from Open this year for a mix of B1, B2 and C teams. A quality performance will see them competing for a place here. You could barely separate Maiden Gully and Frankston throughout the HPV Primary Trial last year and we can only hope that this year’s contest will be just as tight! Maryborough Ed Centre were also impressive as were the impressive Tootgarook. Special mention of Jells Park Primary School that we’ve been following in our progress reports throughout this year. 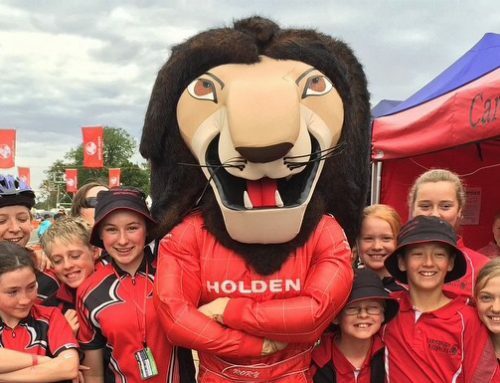 In the HPV A1 class (for schools with less than 200 students), it was Calendonian Primary School that put their rivals on notice, finishing nine laps clear of Avoca with Garfield a further five back. So much energy and excitement around the HPV Primary schools – they are all just bubbling with it. Keep an out for Chris Brooks’ teams from Cobden Tech School (if you can – they first and second last year and finished 30 laps clear of third placed Girton!). However, I hear that Cobden’s canopies are difficult to repair if badly damaged. But Girton have been making great gains in the HPVs and we can expect that energy to translate to the EEVs too, they’re back with another single power sourced vehicle and it’ll be interesting to see how team’s play their strategies. Maryborough Ed Centre’s enduring ‘Black Magic’ always put up a fight and with Team Manager Doug Marr retiring they will be aiming to send him off in style. There’s the very well traveled Rode Rage team, recently back from riding to Port Douglas, ever present Toorak College, the pink ladies from Mater Christi and Chairo all in the mix. Chairo ran a very strong all-electric last year that we think might go even faster this year. No Weeroona College anywhere in the event for the first time in a really, really long time. There are a couple of outfits here that have made a real habit of winning over the past decade, but streaks are meant to be broken.EDEC’s Open squad ‘Fire Breathing Rubber Duckies’ were so fast during last year’s Endurance trial that it was ahead of some of the Energy Efficient Vehicles. We can expect they will be in full stride again after strong performances across the country (including Busselton in WA).In the B/C class, it’s EDEC again looking strong, but Seymour College, Bendigo South East, Toorak and Overnewton who could all put their hand up.St Margaret and Berwick Grammar have won the Try-athlon Primary class for longer than I can remember. Can Tyabb or Beaconsfield take it to them this year? Time will tell!